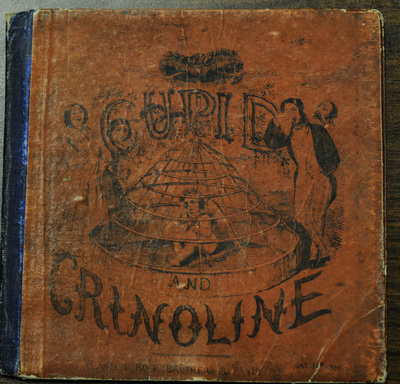 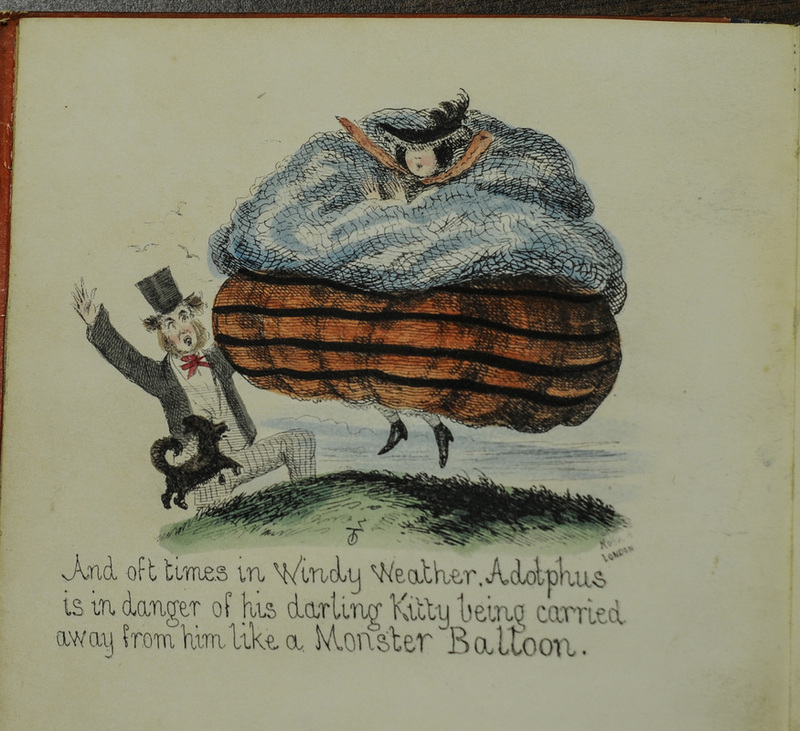 All images from: Onwhyn, T. Cupid and Crinoline. London: Rock, Brothers & Payne, Oct. 20th, 1858. 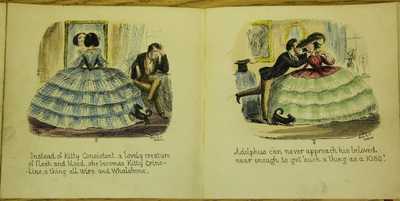 The panorama's wood-engraved panels are hand-colored. "Adolphus can never approach his beloved..."